The photo’s not exactly a “food post worthy” photo but this IS home cooking. A can of tuna (Ayam Brand Chilli Tuna – Singapore; Sainsbury’s Mackerel in Spicy Tomato Sauce – UK). I’m quoting Sainsbury’s because I’ve used that many times. An onion (white or red, it’s up to you). If 1 onion is too much, just use half an onion. The amazing thing is that most of these ingredients are pretty much found in every home and the recipe is very flexible. Not every home has tuna/mackerel in a can but it is not too difficult to get one. 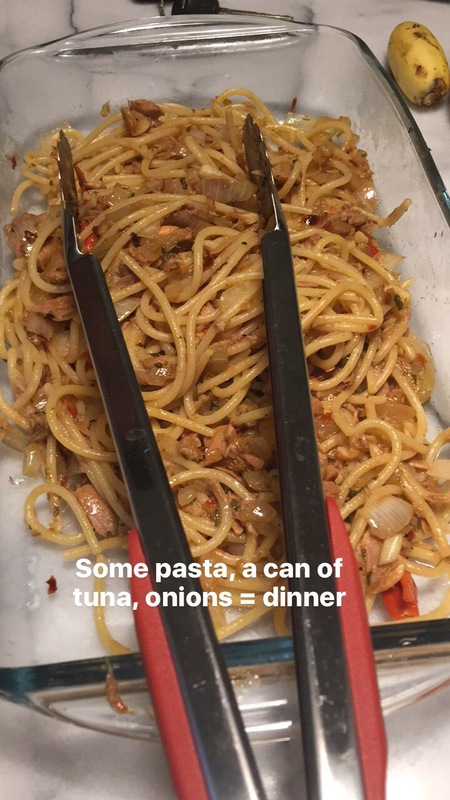 This entry was posted in Recipes and tagged cooking, home cooking, pasta, tuna. Bookmark the permalink.